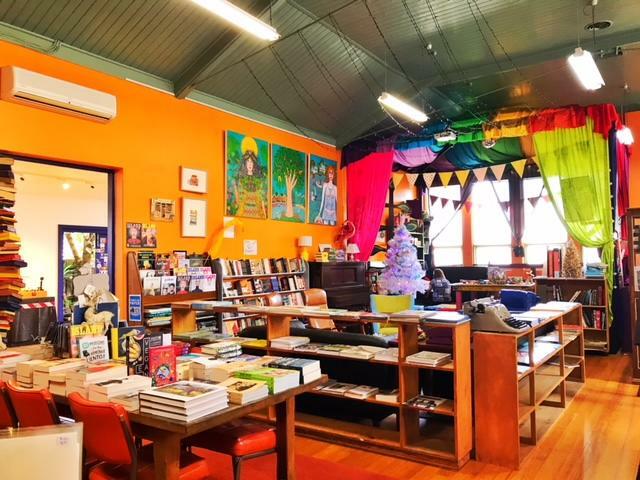 Jo Canham established Blarney Books & Art in 2004 in the small and well-known tourist town Port Fairy, Victoria. 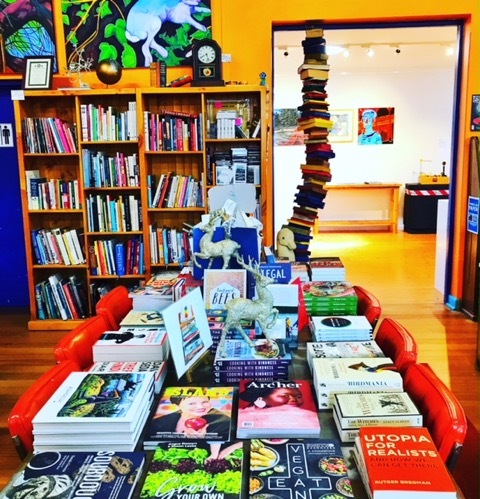 She has recently joined our team here at Junkies and we thought that by way of introduction, we would share her tales of owning and operating a bookshop. I wonder if all booksellers had a similar dream. For me, it went like this: a little shop in the country, with overflowing shelves filled with lovely books. There were probably geraniums in the window. Maybe a shop cat, maybe a shop dog, maybe both. Being my own boss, helping myself to endless cups of tea, reading at my desk, a bit of sorting and shelving, and that was it – the complete dream. (It perhaps goes without saying this dream came before children.) But the one thing that hadn’t featured in the dream at all, the one thing that wasn’t part of the fantasy, but integral to the life of a bookshop, was the customers. Possibly a personality trait common among booksellers is that of quiet introversion. I’m happiest when I’m alone with a book. The customer side of the business is almost a surprise to me – still – to this day. I think the bookshop was really just an excuse to extend my personal library, to show my parents that my book collecting was indicative of my clear-headed business brain and nothing to do with compulsive hoarding. The customers are the best parts of my dream job, and they are the worst parts of it. Without any exaggeration, the shop has changed my life. Over the last ten years, I’ve met the most amazing and inspirational people, and many of these are now very dear friends. He is obviously at the far end of the badly-behaved customer spectrum, and is so far the only customer I’ve felt the need to report to the police. (They have his letter on file.) There are the customers who ask me how much I’ll discount the price on the books. (Yes, I’m sorry, they are already discounted.) Those who say they can get them cheaper in op-shops. (Well, of course you can, but whether you’ll get the ones you want is another matter.) We always wonder whether these people bargain over their bills at the IGA, or the cafe, or if it just at our shop. I don’t think it’s limited to Port Fairy. I expect shop owners everywhere no doubt deal with the customers who carry in dripping ice-creams, who have untamed children in tow, who pay in five cent pieces, who move stock around in the shop (we have funny buggers who occasionally move horror books into the children’s section – it’s happened more than once now), who stink up the bathroom, who order items and then don’t come in to collect or pay, who ring out of hours, who knock on your private door out of hours, and whose pets urinate or poo in the shop. On a more cheerful note, one of the most memorable customers I’ve had in arrived in a gypsy caravan. And they inquired after a specific title – I remember it, The River Kings by Max Fatchen. The weird thing was that I’d just been looking at, and had it next to me under a pile of other books. I picked it up from the pile. “You mean this book?” We were all amazed at the coincidence. They declared me an honorary gypsy, and left very happy! I don’t know whether the next customer through our doors will become one of our dearest friends, but what I do know is that I don’t tire of meeting people, and look forward to meeting all the quirky people who visit. The positives totally outweigh the negatives!